Claiborne is truly an amazing woman who has not only touched the lives of hundreds of thousands, but has changed the lives of all whom she's met. She is a woman of faith who shares her personal story to promote hope and tolerance for all people around the world. 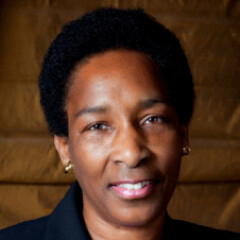 In 2000, Walt Disney Productions created "The Loretta Claiborne Story" about her inspiring life. Claiborne is a world-class runner and gifted motivational speaker who happens to also be a Special Olympics Athlete and a person who has an intellectual disability. She has received two honorary doctorate degrees (Quinnipiac University in 1995 and Villanova University in 2003); completed 26 marathons (she finished in the top 100 women of the Boston Marathon with her best time 3:03); received the 1996 ESPY Award-Arthur Ashe Award for Courage; has a 4th degree black belt in karate; is an inductee into the Women in Sports Hall of Fame and into the Special Olympics Pennsylvania Hall of Fame. She is an accomplished public speaker, who introduced President Clinton at the 1995 Special Olympics World Summer Games and appeared twice on the Oprah Show, communicates in 4 languages, and is fluent in American Sign Language.